They say it's your birthday ... Happy Birthday to you!!! Time to Celebrate! It's the FIRST Birthday of Lawn Fawnatics - a twice monthly challenge blog using Lawn Fawn products to create any type of project. 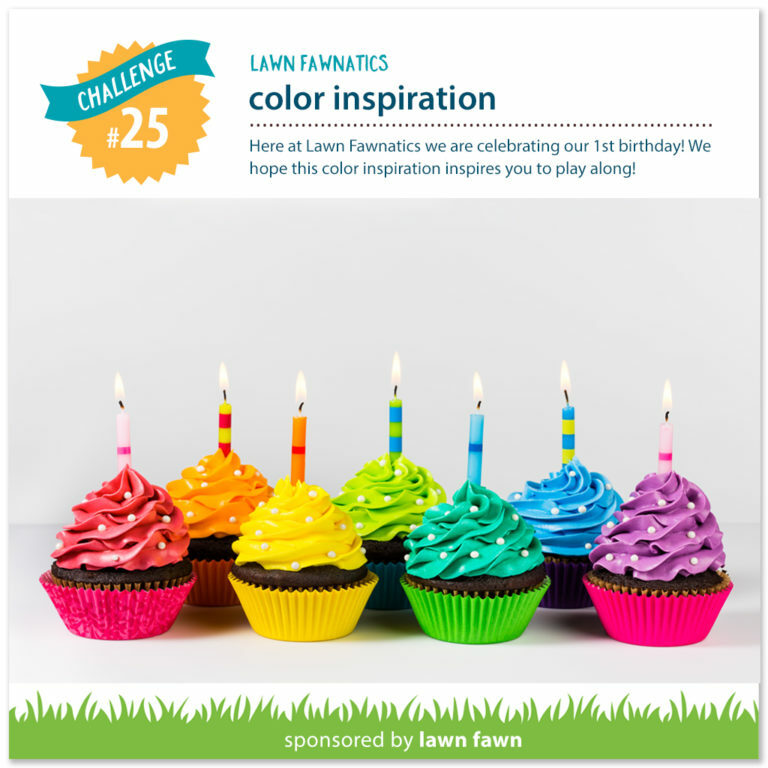 The current Lawn Fawnatics challenge is "Color Inspiration". I created a card using the bright colors and the yummy image. I colored the one of the adorable critters from Lawn Fawn's Party Animal Stamp and Die set and dressed him up with a cute party hat and birthday cake with a single candle - perfect for celebrating Lawn Fawnatics first birthday! I die cut the sentiment twice and layered them together for more dimension. I used Nuvo Glitter Gloss pen on the candle, party hat and sentiment for some shimmer. The critter is hanging out on one of Lawn Fawn's new Mini Picture Frame Dies - a set I will be using often!! 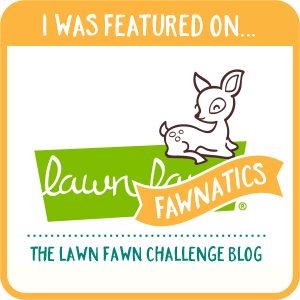 Congrats to Lawn Fawnatics for a successful first year of awesome challenges! Here's to many years to come. Happy Wednesday! Hope you are all doing well. I'm back today with a second project as a Guest Designer on the Lawn Fawnatics Challenge Blog. The current challenge is Emboss Resist. 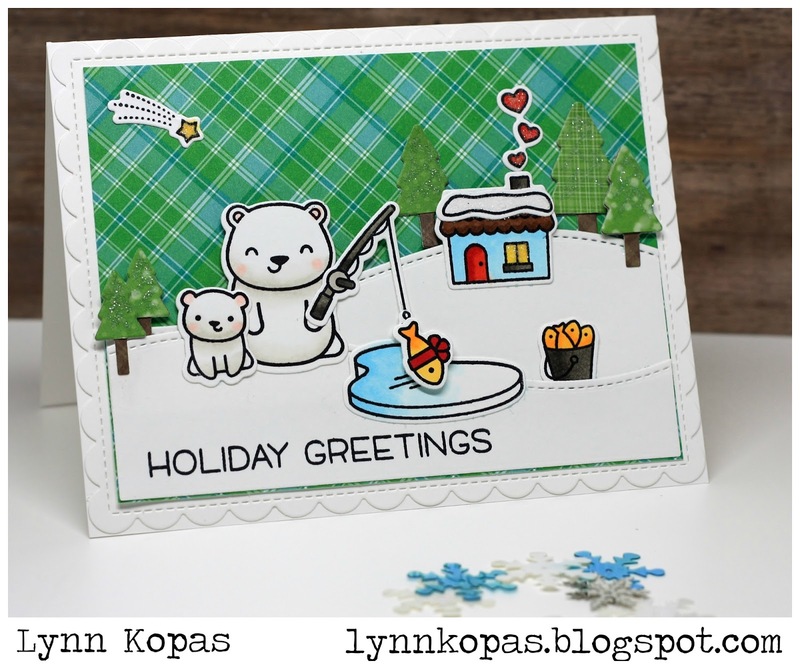 My first card was Holiday themed - you can see that here and here in my last blog post. 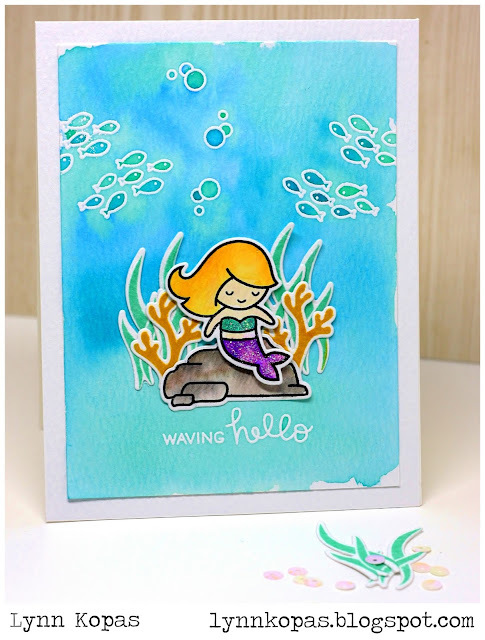 I decided to get summery with this card and created a water colored background to highlight my embossing and the adorable mermaid from Lawn Fawn's Mermaid for You Stamp Set. 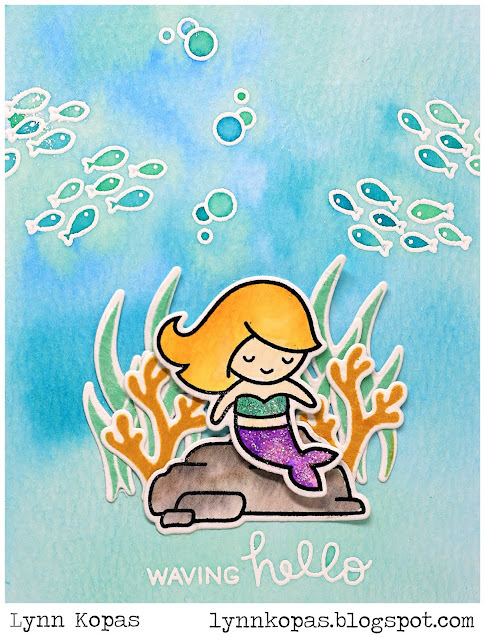 I embossed the fish and "bubbles" with Hero Arts white embossing powder and once that was heat set, I water colored the background with several distress inks. I love how the water coloring pooled in the fish and the bubbles giving them a darker shade. Here's a close up of my card. I have had so much fun as a Guest Designer for this challenge and I hope you have been inspired to give the technique a try! You'll love the results! Please stop by the Lawn Fawnatics Blog to see more ideas using Emboss Resist. 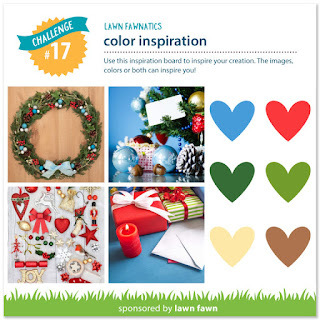 I'm honored to be Guest Designing this month for the Lawn Fawnatics Challenge Blog. I created two cards for Challenge #18 - Emboss Resist. I love this technique - it's an easy way to add detail to a project. Here's my first card using a combination of Lawn Fawn stamps and dies. I stamped snowflakes onto my blank card base using white embossing powder and once it was heat set I blended some Lawn Fawn inks over the background. The embossed snowflakes resist the inks and stand out on the inked background. 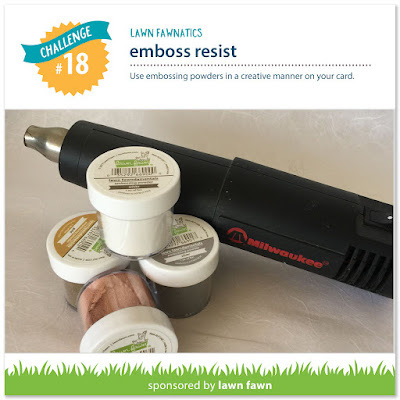 Be sure to stop by the Lawn Fawnatics blog and check out all the Design Team projects for more ideas using the Emboss Resist technique. I will be back December 13th to share my second card for this challenge. Thanks so much for stopping by and I hope you have a great week. Happy Friday!! Hope you had a lovely Thanksgiving Day with family and friends!! If you are braving the stores for Black Friday, ENJOY!! My Thanksgiving reminded me how thankful I am to have family close by and how great it is to gather together and simply enjoy the day. I'm very blessed. I am also thankful to have art in my life. Creating is soothing, inspiring and especially fun when done with other creative souls! I am currently loving all the Lawn Fawnatics Challenges - it has pushed me to use stamp sets I haven't touched yet and to practice with my Copic Coloring. The current challenge is a Color Inspiration Board. I used all the colors and a gift image as the inspiration for my holiday card. I used the Beary Happy Holidays Stamps & Dies - it's an adorable set and a must have for your Holiday cards. Here's my card. 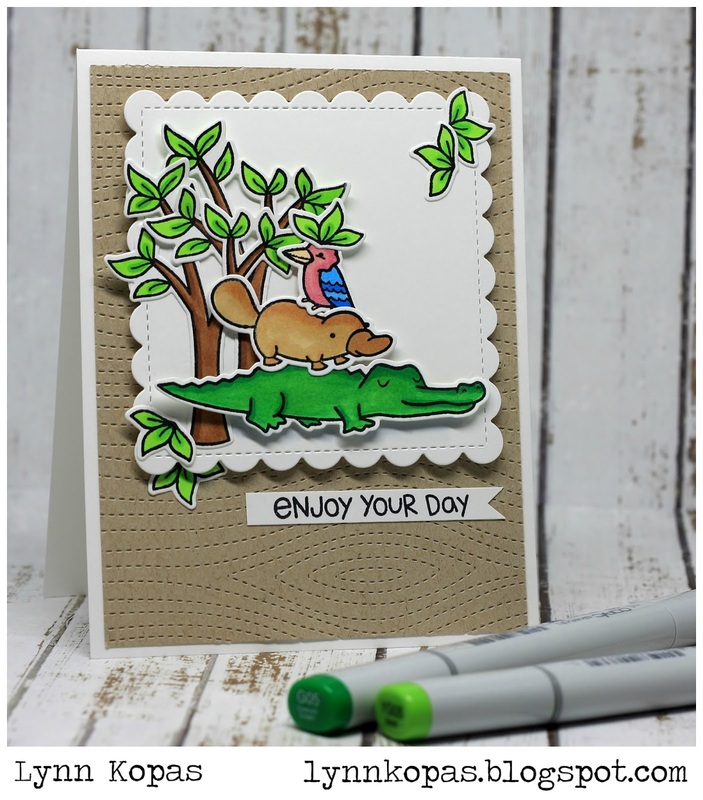 Lawn Fawn's Stamp and Die Sets make creating a scene on a project easy and I love how sweet the bears are in this set. Thanks for stopping by and I have some exciting news to share on my next blog post ... stay tuned!! Hello and Happy Thanksgiving! I'm looking forward to Family time this afternoon including visiting my Dad in the nursing home - he is always greatly missed at home but especially on the Holidays. Then onto my Brother and SIL's for more great company and some amazingly delicious food. Calorie restraint might be hard today - Thanksgiving is one of my FAV feasts! So much to be Thankful for. I'm also Thankful to have a great crew at work. 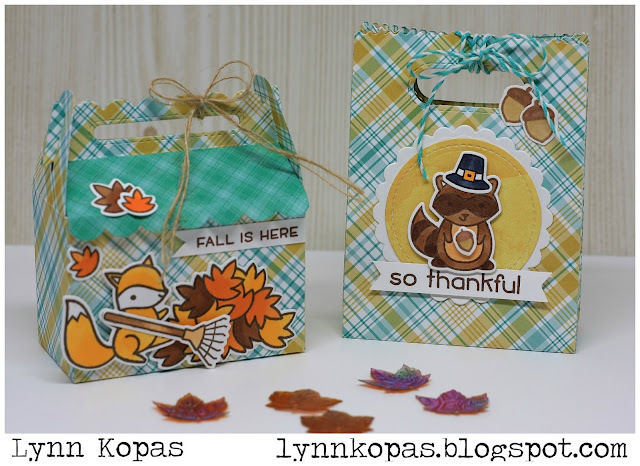 To show them how grateful I am for them I made a bunch of cards using Lawn Fawn's Shadow Box Die. These box cards are so adorable and fold to fit in a standard sized envelope. I made twelve of these cards for my awesome co-workers. Here's a peek at some the cards. A close up of one of the boxes. These were so fun and easy to put together thanks to the Shadow Box Card Die, which can be used for any occasion. Thanks for stopping by and I wish you all a blessed and grateful Thanksgiving! Hello Peeps!! 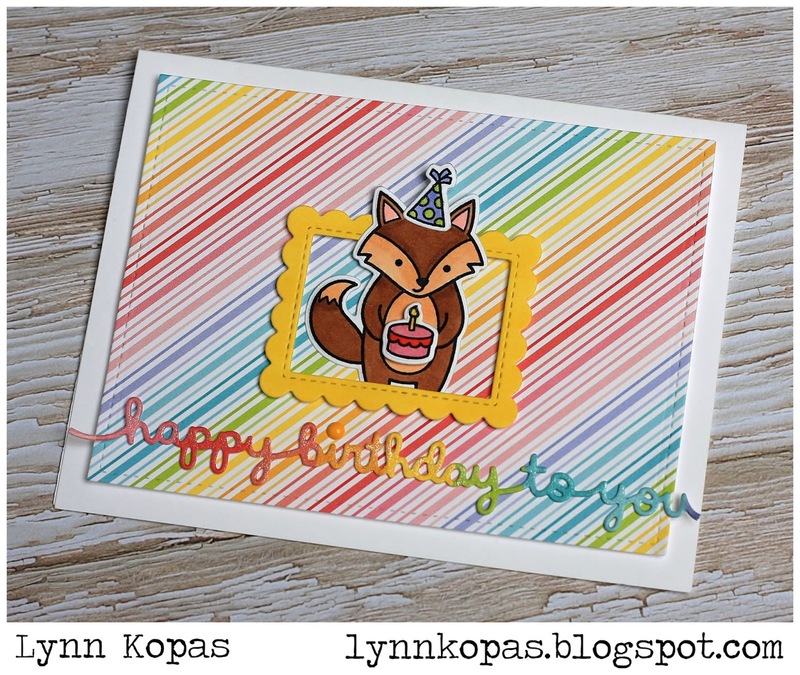 I have a new card to share today using the current Lawn Fawnatics Challenge. 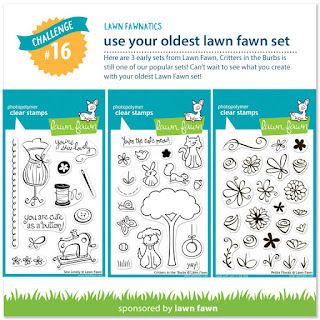 Challenge #16 is to use our oldest Lawn Fawn set. I dug through my LF Stamp Sets and found my oldest one to be "Critters Down Under" released in 2012. 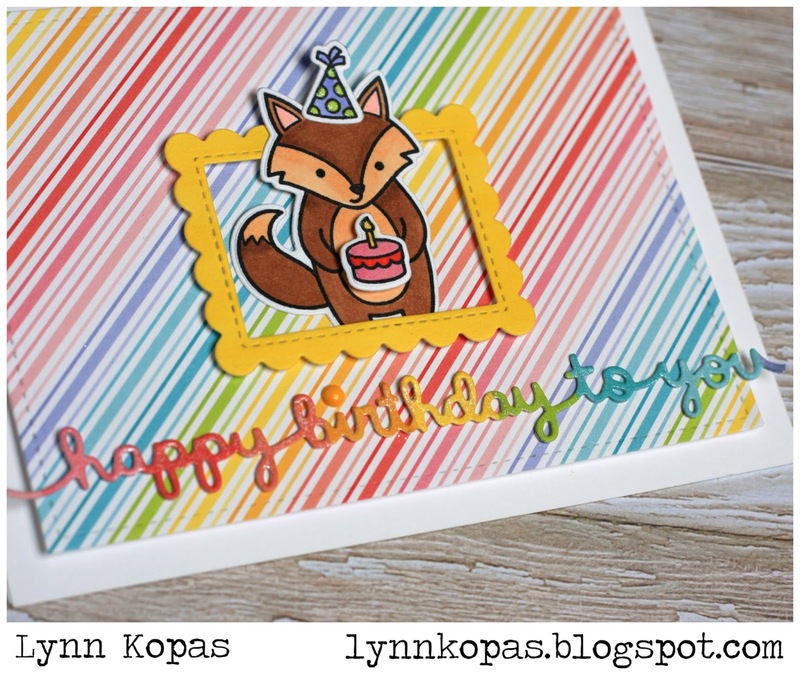 I paired this stamp set with some new releases "Outside In Stitched Square Stackables" and "Stitched Woodgrain Backdrop". I used some bright Copic Markers to color the elements on my card. 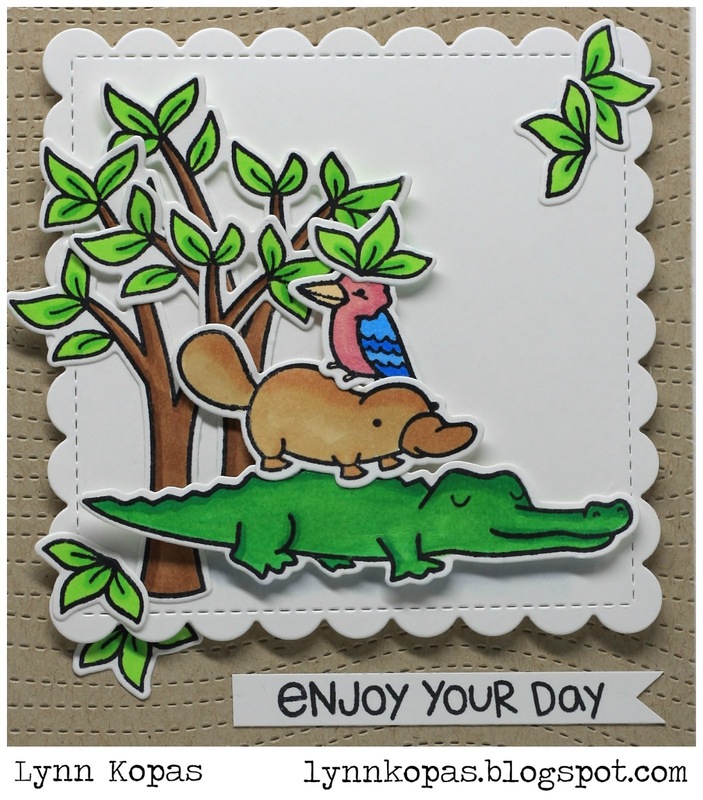 I layered the adorable critters on top of each other and added a leaf to the bird's head - they make quite the Happy Birthday gang, don't they?!?! 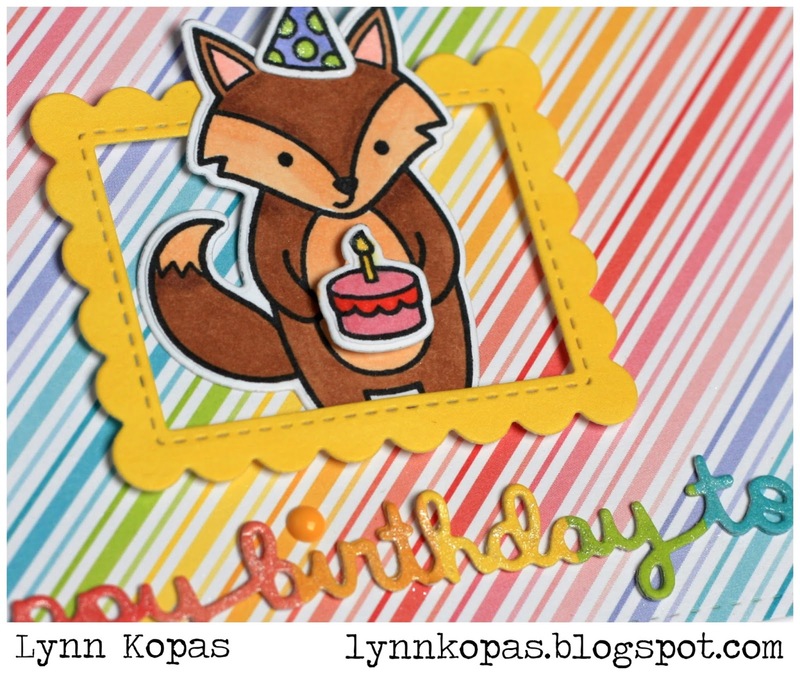 The Woodgrain Backdrop die easily adds great texture to plain cardstock. Be sure to stop by the Lawn Fawnatics Blog to check out the DT sample and all the amazing entries for this current challenge. Hello and Happy Wednesday! I hope you are all doing well. I have a few new projects to share based on the current Lawn Fawnatics Challenge - "Clever Gift Packaging". 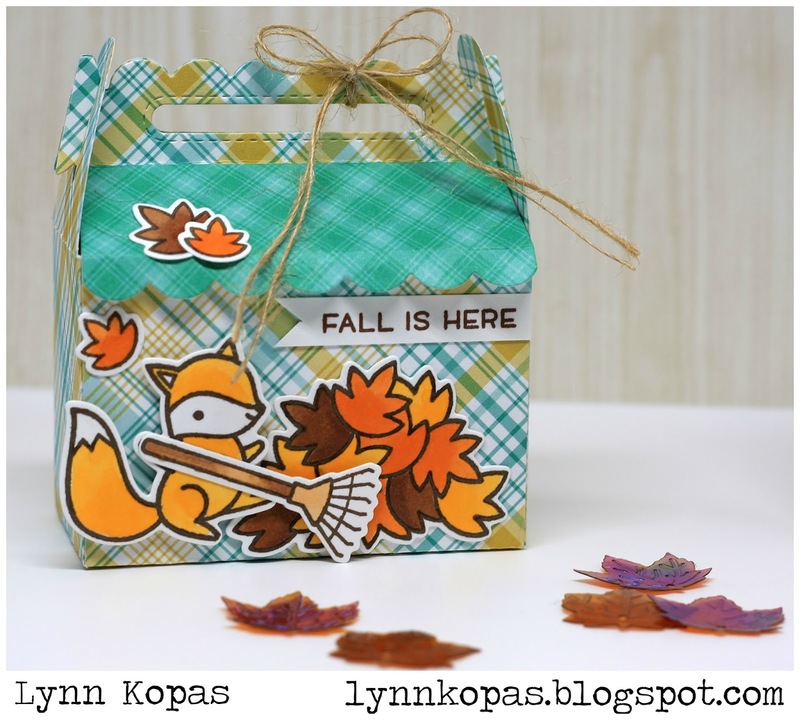 I created a fall themed Scalloped Treat Box and Goodie Bag. Both could be used to hold a few yummy treats and the goodie bag is perfect for a gift card. I used paper from the new Perfectly Plaid "Chill" 6x6 paper pack to create my gift packages. Here's a close up of the Scalloped Treat Box. I used the Jump for Joy Stamp & Die set to create the fun scene on the box. The Goodie Bag Die is a quick way to make an adorable treat bag. Here's a close up of the bag. 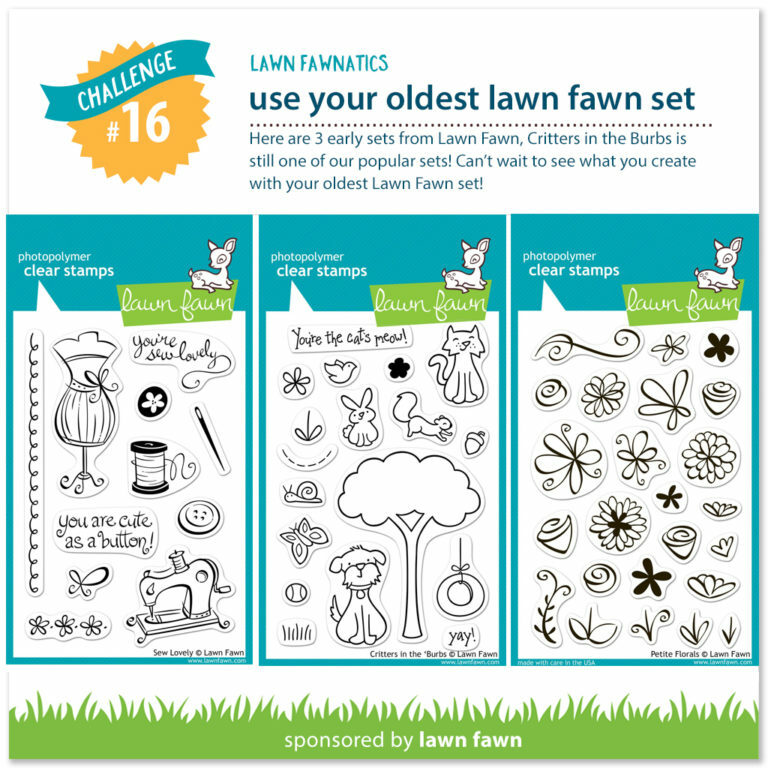 Come join in on the latest Lawn Fawnatics Challenge. 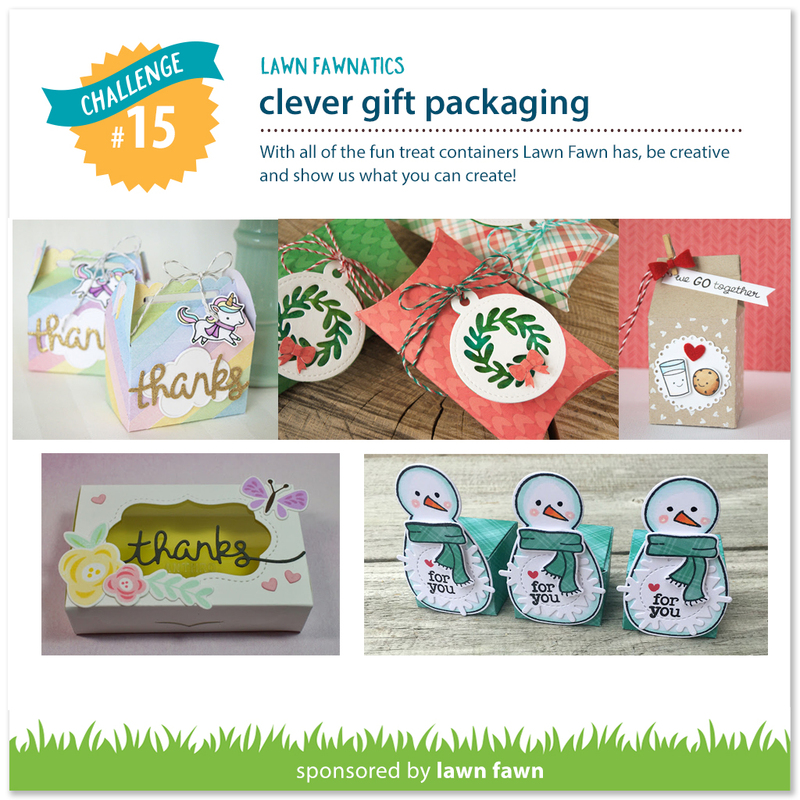 Stop by the blog to see all the clever gift packaging projects!! Thanks for stopping by and see you soon!! Hi! 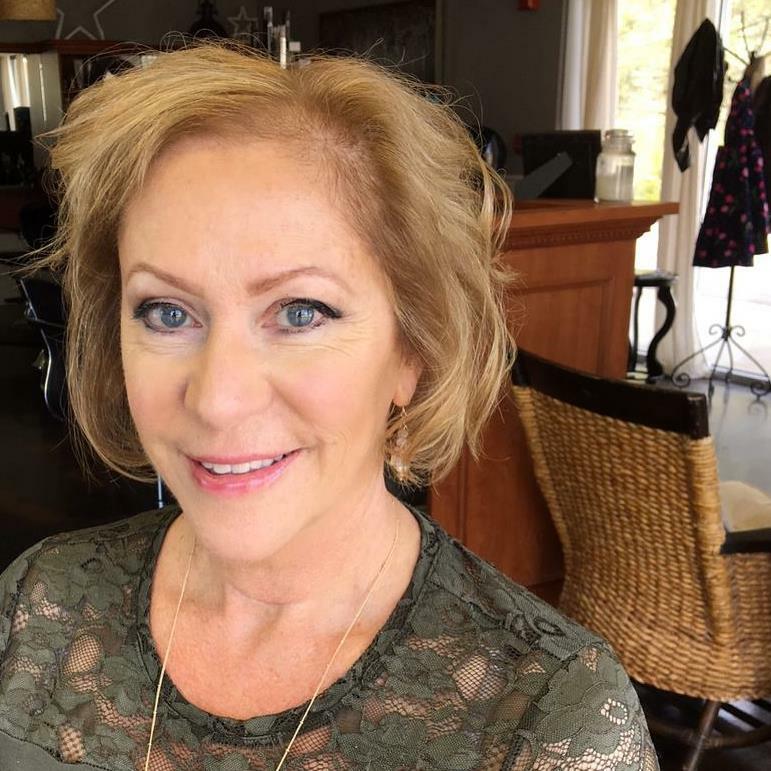 I'm Lynn and welcome to my blog of crafty projects and life ramblings.